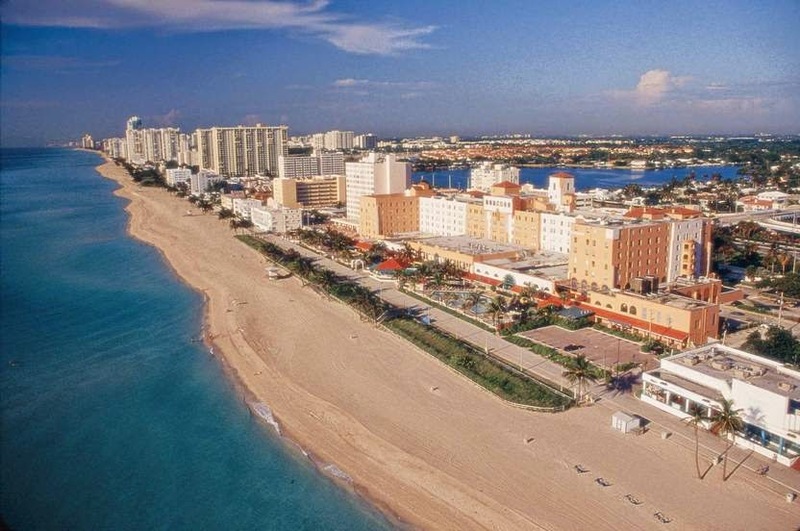 Hollywood By The Sea in Florida is one of the more prominent tourist areas in the state. Hollywood, Florida, still exists. It is a city of about 140,000. The beach is generally considered nice. People seem to like the boardwalk, which is jocularly styled "The Broadwalk." Often called the "Flying Suitcases." Dolphins in Florida still exist. They still taunt humans from more temperate climates with mocking cries of "How's Things Up North?" For a price, one may get back at them by entering a pool or penned-off area, swimming right up to them, and asking "how's things in captivity, fish-boy?" 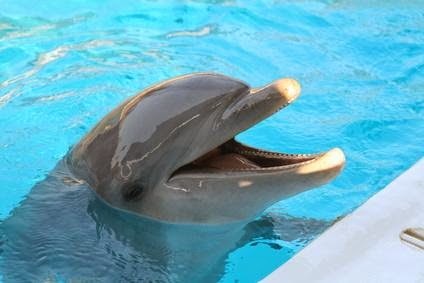 Our blog Shakespearean recently swam with dolphins in the Sunshine State, and reports unsurprisingly that "it was cooler in concept than in practice, and cooler in concept when 18 than when 45." There are of course a number of avenues lined by coconut palms in Florida. It's hard to say which one this is or was, and so it is unclear whether this avenue still exists. There is, in case you thought of it too, no street actually named "Cocoanut Palm Avenue" in Florida or anywhere else. There is one "Coconut Palm Avenue," but it's a single block in a working-class neighborhood of San Juan, Texas, and only has half a dozen palm trees at that. Golden sands at Hollywood, one of the more prominent beaches in South Florida. Yeah, we've already covered Hollywood. 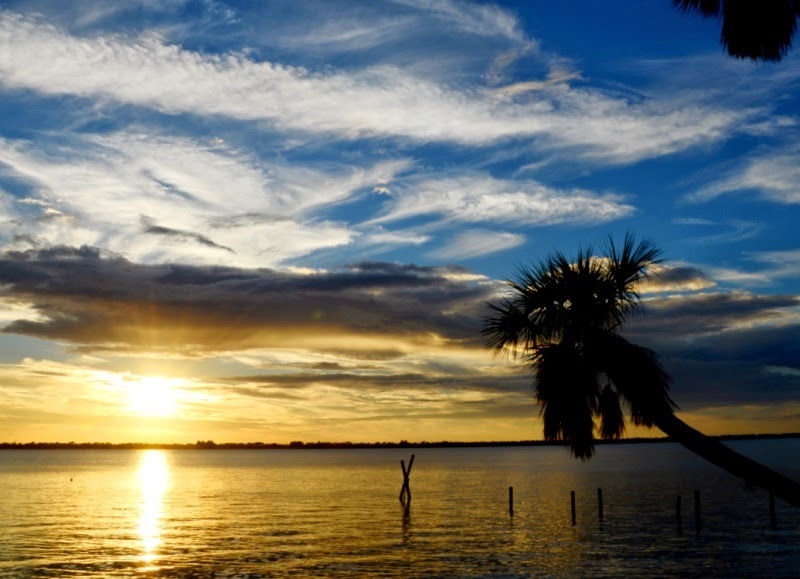 Florida's Beautiful Indian River still exists, although it is neither Indian nor a river. It is a large saltwater lagoon. Over the past year, record numbers of dolphins, manatees and pelicans have turned up dead in the 150-mile-long estuary that runs along Florida's Atlantic Coast. Bouts of algal blooms have flourished in the waters. In three counties on the lagoon... there are 237,000 septic tanks. "Do the math. Over 1 million kilograms of nitrogen a year are going toward the Indian River lagoon from septic tanks alone," [a biologist] said. Crisis or not, there's little political will in Florida to begin requiring communities to move residents off septic tanks. A vast wetland peninsula that doesn't see the need for last-century standards of sewage treatment: Ladies and gentlemen, the Sunshine State! 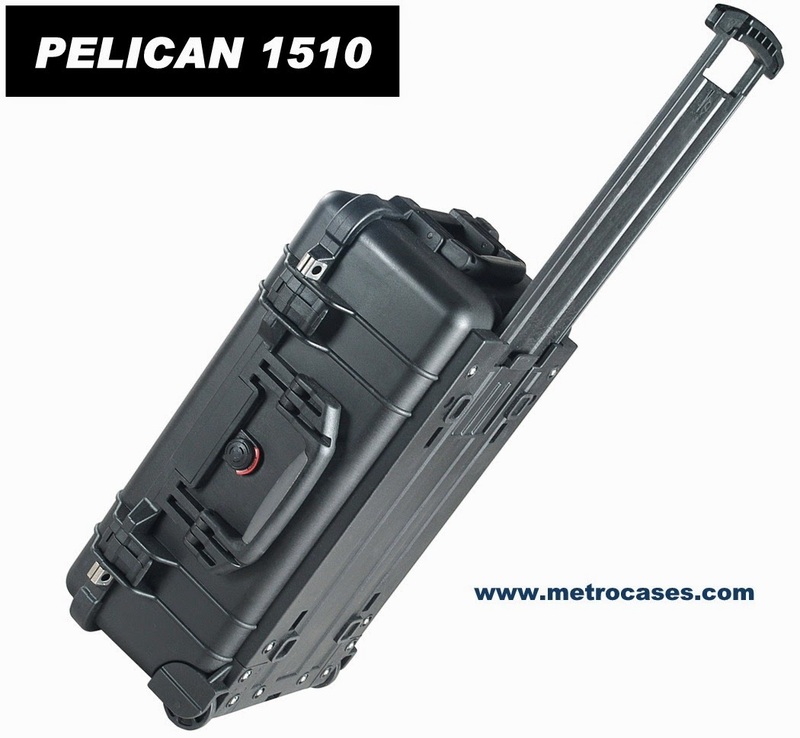 Naturally, one imagines the reaction of airport security to the contents of Pelican 1510's gullet.